Help us celebrate a one night taco armageddon orchestrated by the long lost fifth horseman of the Tacopocalypse, Brian Poe. 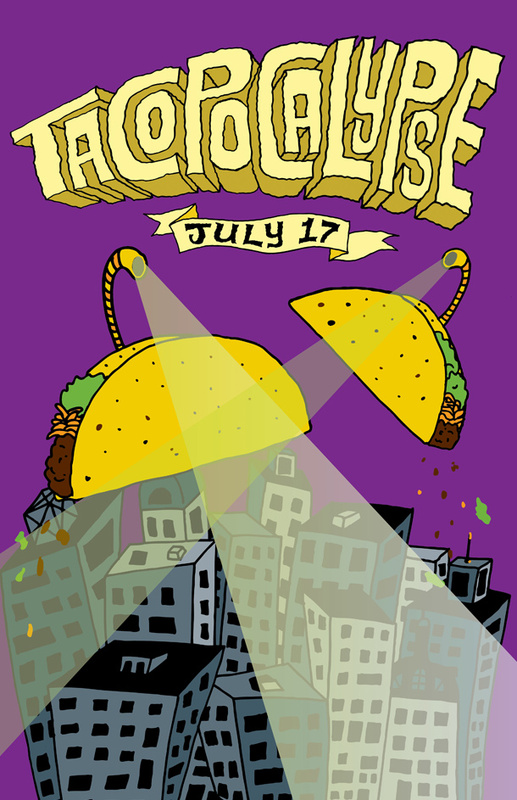 Poe's Kitchen at the Rattlesnake will play host to Tacopocalypse on July 17th, at 6:30. Enjoy a variety of taco offerings like Thai chicken with peach basil salsa, cherry smoked boar, other chefs choice specialty tacos, and a dessert taco bar. Tequila Espolón will be on hand with some goodies, too. 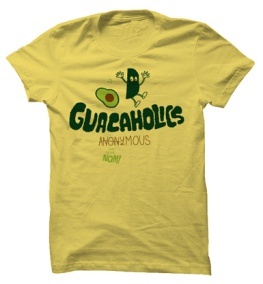 You might also be interested in Guacaholics Anonymous III the night before. 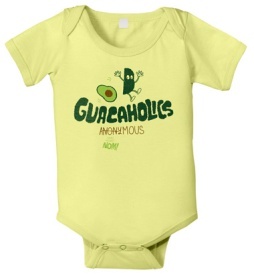 In the meantime, get yourself a Guacaholics tshirt or onesie!